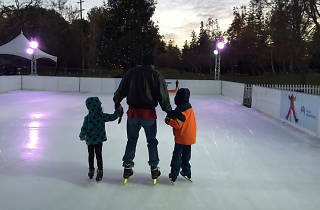 This seasonal outdoor skating rink in Santa Clara’s Central Park offers both open skate and weekend ice skating lessons. 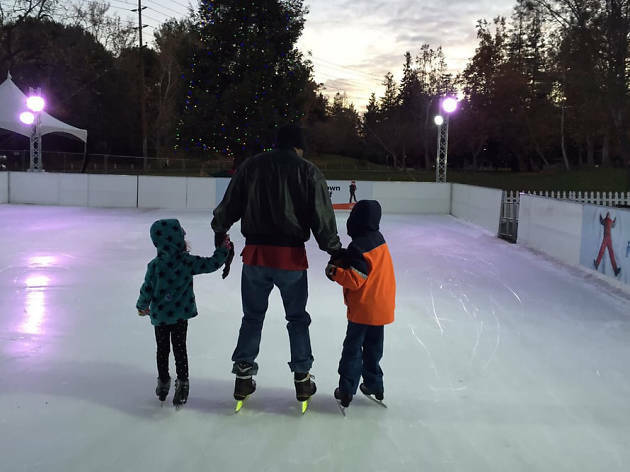 The lessons, six-week classes for beginners or intermediate skaters ($130), are open to both adults and children. If you come packing your own ice skating skills (or even if you don’t), you can hit the ice with a general admission ticket ($10-15) or all-day skating pass ($15-22). If you plan to come back again and again, get the Frequent Skater Pass ($120-150) good for up to twelve visits. Open November 20 through January 7, 2018.